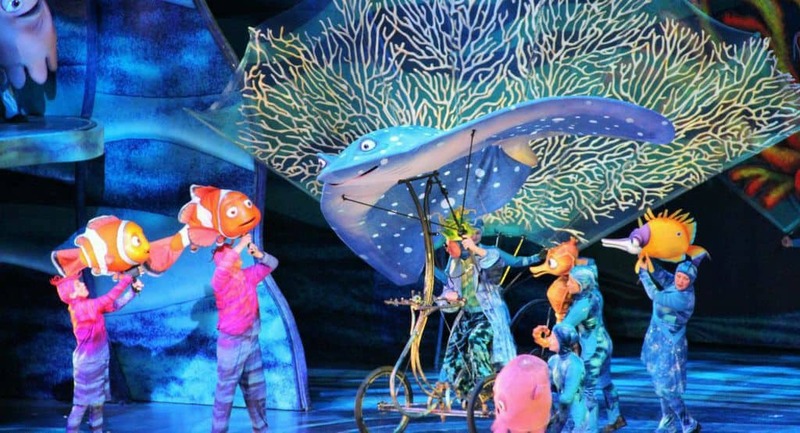 2) Finding Nemo – The Musical – Disney’s Animal Kingdom also features another live show that brings a favorite Pixar film to life through larger than life characters and music. Finding Nemo – The Musical is performed in the Theater in the Wild in the Dinoland section of the park and the show runs several times each day. The story of Marlin and Dory’s epic adventure to find Nemo is brought to life through massive puppets and live puppeteers who combined with music and special effects make guests feel as though they have traveled the ocean alongside the characters. Finding Nemo – The Musical is one of the most impressive performances in Walt Disney World, however in order to tell the story to the fullest, the run time is forty minutes long. This eats up a lot of time that guests who are enjoying a short trip simply don’t have. Instead, guests should opt to enjoy other popular attractions near the Theater in the Wild such as Expedition Everest or Dinosaur.